Ringling Bros. and Barnum & Bailey Circus will be holding a VIP Animal Open House Tour and up close Elephant Seminar, Elephant Pedicure, Bath and Brunch. Bring 10 cans of food for the Utah Food Bank to the Energy Solutions Arena on Monday August 8th between 6am and 9am (MAKE SURE you bring them to the Enjoy Utah booth! ), which at that time you will receive a free ticket to the circus (view complete details HERE)! At my booth, I will have an "Enter To Win" box, where you will fill out your name and contact info. This is where you enter to win the chance to join me at the Animal Open House. Hang out with us while you are there and enjoy fun circus activities! 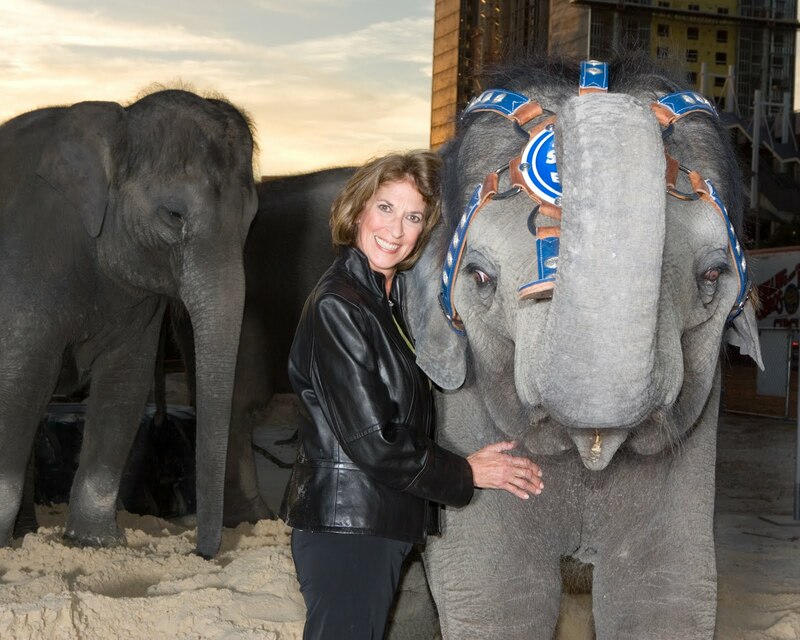 Janice Aria began her career with Ringling Bros. and Barnum & Bailey® in 1972 and was named Director of Animal Stewardship Training at Ringling Bros. and Barnum & Bailey Center for Elephant Conservation® in 2005. With more than 30 years of experience in animal handling and animal behavior, she is responsible for designing and implementing a standardized curriculum of best training practices, and works closely with trainers, interns, and their animals to maintain the highest standards of animal care. Janice holds a Bachelors degree in Special Education from the University of South Florida. She taught high school, middle school and elementary school students for five years, developing a reading program for learning impaired students for which she received a state award for excellence in 1998, the same year she was named Teacher of the Year.